A task can be deleted from the “Edit Task” page. A task can be marked during creation. 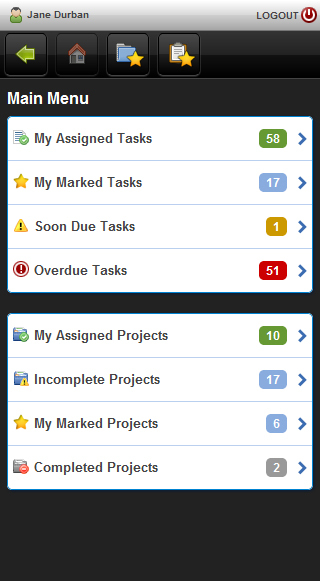 When viewing a project, a task can be added to it from the toolbar at the top. Most icons have been reworked. Yes. We certainly want to add the ability to record time in the mobile version. We will be getting to that as soon as we possibly can. Thank you for using AceProject!